The list of collaborative projects were announced earlier today at MCAST, Paola. On Thursday 2 June 2016, MCAST and the Valletta 2018 Foundation announced a major collaboration with Valletta’s twin European Capital of Culture, Leeuwarden and outlined the proposed projects that will take place with two colleges in the region namely, Friesland College and Roc Friese Poort. Valletta 2018 Foundation Chairman Jason Micallef said “My hope is that today we have planted the seeds to build a real dream factory. This joint venture is a step in the right direction; an investment in innovation, growth and high quality jobs. This is a reaffirmation of the necessity to create a long lasting legacy that grows beyond 2018”. MCAST, which is a member of the Valletta 2018 board of governors, has worked on a number of projects with the Foundation through the Institute for the Creative Arts in Mosta including 3D Projections on the façade of The Palace in Valletta at Christmas time and the cladding of the Valletta Cruise Port Tunnel. The collaboration between Valletta 2018 and MCAST has intensified over the past months and has resulted in a collaboration with the Dutch European Capital of Culture Leeuwarden 2018 and specifically, collaboration with the two Dutch colleges. Over the past months, MCAST lecturing staff and administrators visited Leeuwarden to discuss the collaboration through which MCAST is embarking on several projects. These include a web portal, a children’s book, and opera project, info pods, the setting up of commercial companies and a sustainable souvenir. 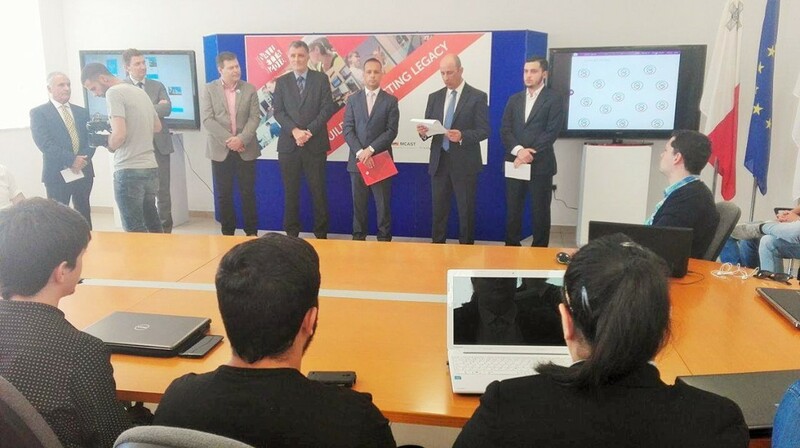 Several lecturers and students from Friesland College have visited Malta over the past weeks and five Dutch students are at the moment collaborating with MCAST students in Malta on a web portal that will be connecting people in both countries. The portal connect2018.org will be launched at the end of July. The Web Portal – a Web Portal will be created to connect students, lecturers and staff from MCAST and Friesland College. This portal will act as a connection with industry and stakeholders in both countries. Through this portal, projects from all areas of study related to Valletta 2018 and Leeuwarden 2018 will be showcased and documented. This aims to offer a great method of networking, serve as a huge boost to education as well as to contribute towards arts and cultures in the run-up to 2018. The Children’s Book – Three storywriters from each country (Malta and the Netherlands) will be selected and requested to write three short stories for children between the age of five and eleven. The writers will be asked to use both European Capitals of Culture as the setting for their stories. The stories will be written in Maltese and Dutch. Students from MCAST and D’Drive will illustrate these stories. The final books will be printed. Sustainable Souvenir – Students in both countries will design a souvenir which represents and links both cities and is made of a sustainable material. The idea is to use common local waste to produce the products. Examples of materials which can be used are plastics, building waste, paper and cardboard. The product designed will symbolise the connection between the two cities. Information stands/pods will be installed in both cities in 2018. Students will collaborate and share information about both cities in order to design information pods to promote and inform the public about the cultural richness of both European capitals. These stands will be used to inform the public about the connections and the collaborations created, upcoming events and possible future projects/plans. Setting up of Commercial Entities – MCAST and Roc Friese Poort students will set up real commercial entities that will trade products/services. The nature of products/services that will be created and offered will be decided by the students themselves. The programme will see the students form the business teams, design the product/s and/or service/s, write a business plan, search for investors, purchase inputs and create outputs, market their organisations, sell and finally enjoy revenue. Student Mobilities – Both institutions have very strong relationships with the local industry and also have key bodies within the institution with the capability of organising and managing mobilities for those students that would like to pursuit a work placement abroad. MCAST will offer work places in water, lab sciences, health and agriculture, while Friesland College will offer work places in food and beverage, water, environment and lab sciences. Live Cases and Projects – One of the main aims of the European Capital of Culture programme is to ‘Highlight the richness and diversity of cultures in Europe’. In view of this, Friesland College and MCAST are proposing a number of joint life cases/ projects. Learners following programmes at the MBO Life Sciences and MCAST Institute of Applied Sciences will be offered the opportunity to collaborate together on a VET challenge of industrial relevance which forms part of their programme of assessment to obtain certification.